To celebrate the launch of Faber’s ZOOM retractable hood in North America, Distinctive Appliances held a design contest to showcase the Zoom's design potential. I submitted a hoodfan design based on the idea of a crystal flower. 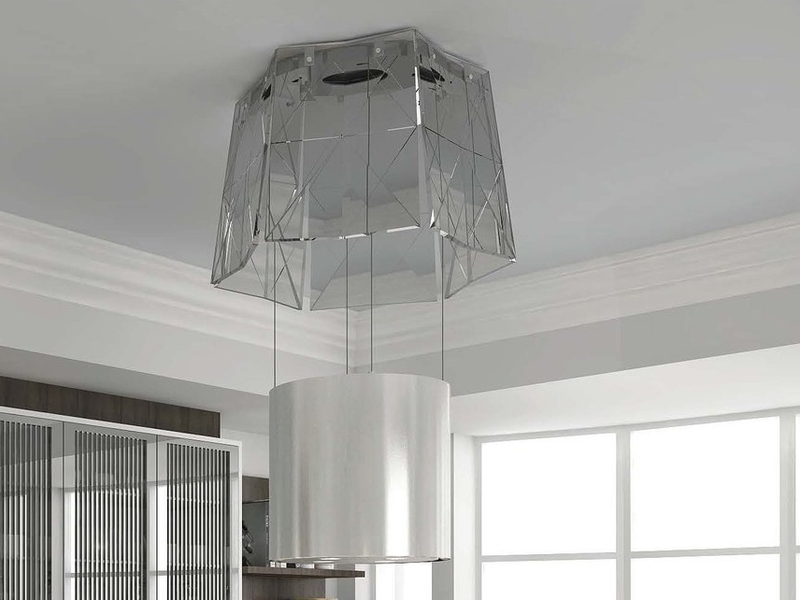 The hood fan shroud is entirely made up of 6 tempered glass "petals" etched with a geometric pattern. The goal of this design was to make the hood appear more like a decorative light fixture rather than a industrial fan. I received 3rd place for my design. © DESOUSA DESIGN All Rights Reserved.